Lest we Forget? In the case of Captain Robert Alexander (Alec) Little, Australia’s greatest 'Ace', it would seem that we did. 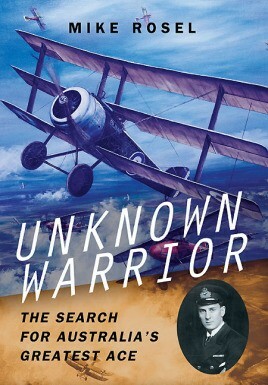 Few people beyond aviation historians are familiar with his forty-seven victories with the Royal Naval Air Service and Royal Air Force, nor the fact that he earned a chestful of medals before his death at the tragically young age of twenty-two in a solo night-chase after a bomber in May 1918. He was also ranked eighth overall 'Ace' of all British Commonwealth pilots in the Great War. Yet despite this great, international achievement, he remains little-known beyond Australia. Mike Rosel set out with the aim of remedying the situation in a biographical history of supreme quality. A fine marksman who closed to point-blank range, Little enjoyed hunting alone. Courageous beyond common sense, he pushed fragile aircraft and his phenomenal luck to the limit. One remarkable occasion saw him fight solo against 11 Germans in a characteristic showdown of grit and determination tempered perhaps by a certain degree of recklessness. Flying a Sopwith Triplane emblazoned with his son’s nickname, Blymp, he became famous in 1917, nicknamed ‘Rikki’ after the lethal cobra-killing mongoose in Kipling’s Jungle Tales. By July 1917 he had claimed fourteen aircraft. By the time of his death in May 1918, he had attained DSO and Bar, DSC and Bar, the French Croix de Guerre, and forty-seven aerial victories. This eminently researched and reverential history charts the course of an impressive career cut tragically short. In line with the centenary anniversary of the start of the First World War, it serves as a timely reminder of just one of the many skilled and tragically doomed young pilots of early twentieth-century aviation history.